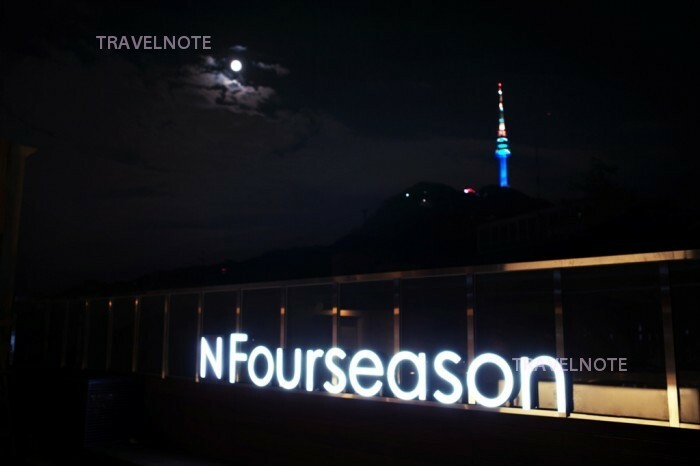 N Four Season Hotel is the luxury hotel located 3min walk away from Hoehyeong station of subway line 4, in Myeongdong area, heart of Seoul city. The hotel opened in Aug. 2012, and is full of luxurious mood from interior/exterior to service. There are 52 room with a selection of Standard Twin, Triple and Deluxe. Lady’s room is especially popular among female guests. Interior and amenities are carefully selected and facial mask, skin lotion etc are always available. Tea set, hair dryer are also in each room, and bathtub, independent wash stand, shower toilet are equipped. Café and restaurant are located in 1F to serve breakfast and coffee. PC with internet connection and printer is at 1F. The hotel plans to feature Jacuzzi in the rooftop terrace, and also plans to start service and facilities for tourists such as cultural experience facility. The hotel is within a walking distance to Namdaemun market, and also convenient to access Myeongdong, Dongdaemun and Seoul station.